Russia’s key indices lost up to 12 percent in Monday trading, while the Russian ruble has reached historic lows against both the dollar and the euro. On Saturday, Russian President Vladimir Putin asked the Federation Council to send stabilizing Russian military forces to Crimea, a peninsula in the Black Sea home to Russia’s Black Sea Naval base and a predominantly Russian-speaking population. The proposal was unanimously approved, but has yet to be signed by Putin, and troops have not yet been deployed into Ukraine. 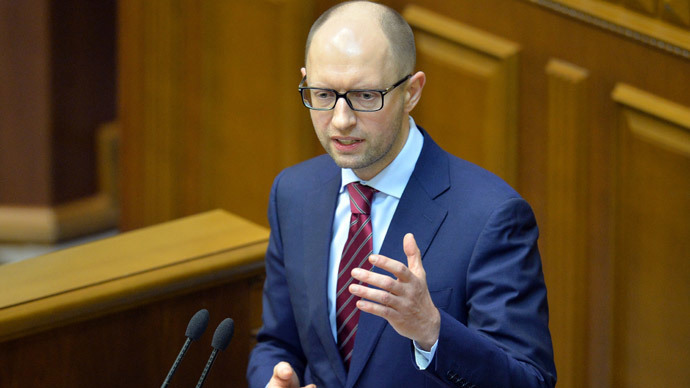 State-owned banks, which could be the first targets of Western sanctions, fell sharply on Monday. Sberbank, Russia's largest lender, lost 14.91 percent, and ordinary shares of Russia's second-largest state-owned bank, VTB, lost 17.52 percent by the end of Monday trading. The ruble-based MICEX dropped 10.79 percent on Monday, and the dollar-based RTS index fell 12.01 percent, the lowest level since September 2009. Index trading is suspended if there is a 25 percent change. “It is possible that investors would stay away from the markets till this uncertainty goes away,” Ambareesh Baliga, a managing partner at Edelweiss Financial Services, a Mumbai-based financial services company, told Bloomberg. Gazprom, Russia’s largest natural gas producer, part of the MICEX index, dropped 13.89 percent on Monday over the escalating tension in Ukraine. 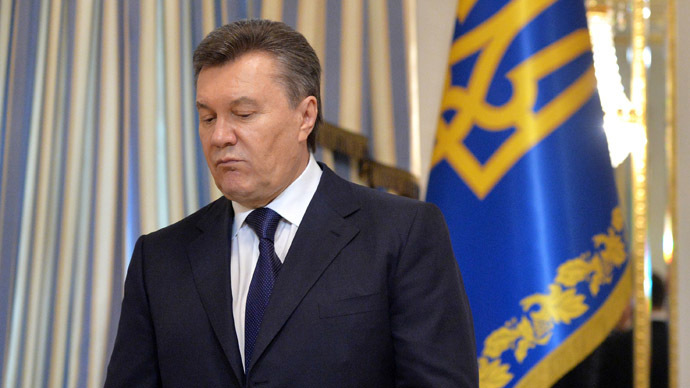 Gazprom sends gas through Ukraine to European markets. In 2006 and 2009 deliveries were disrupted over disputes with Ukraine, which took a financial toll both on the company and European customers. Lukoil, Russia's largest private oil company, lost 7.43 percent. Mechel, one of Russia’s leading mining and metals companies, lost over 26 percent in the opening hours, which caused trading in the stock to be suspended for 30 minutes. If a stock’s value fluctuates 15 percent compared to the previous day’s close in a ten minute time window, trading is suspended for 30 minutes. A rapid deviation of 20 percent will suspend trading in a particular stock for 1 hour. Trading for the whole day could be suspended in an individual stock if a change of 30 percent occurs. Much smaller than New York’s $13.4 trillion, or even London’s $3.6 trillion exchanges, Moscow’s Exchange has about a $1 trillion market capitalization. The Russian ruble has hit new historical lows, both against the euro and the dollar, as geopolitical risks in Ukraine heighten, and the prospect of a stand-off with the West looms. The US dollar rose rapidly against the ruble after Asian markets opened, with the greenback standing at 36.50 against the ruble. Over the weekend, Russia’s biggest bank, Sberbank, shifted its dollar rate to 38.50 rubles, and many other banks are following the suit. The state-bank is buying a euro for 53.15. The euro rose nearly a full unit, passing the 50-ruble benchmark. 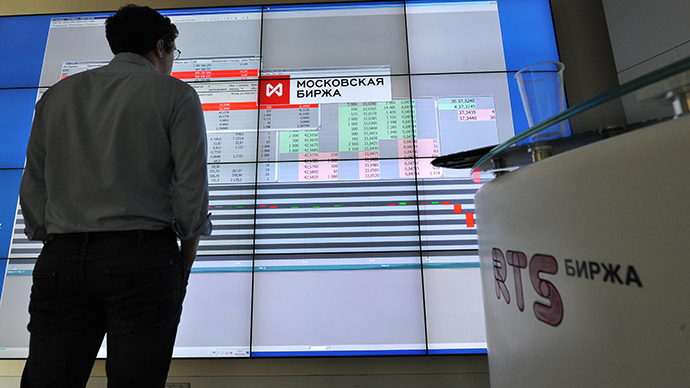 “Ruble and equity indices face a knee-jerk hit. 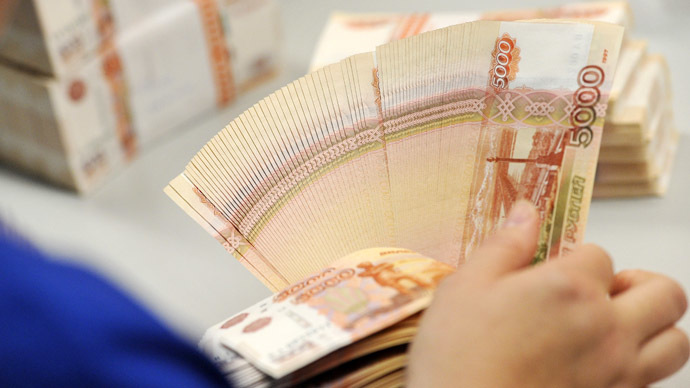 An initial negative knee-jerk reaction is inevitable in the ruble, the domestic debt market and in equities when the Moscow bourse opens Monday,” Chris Weafer, senior partner at Moscow-based consulting firm, Macro Advisory, said in a note Sunday. Disarray in the market, and a fast weakening currency prompted the Central Bank of Russia to temporarily increase its benchmark lending rate from 5.5 percent to 7 percent. This is the first time the bank has changed the rate in 18 months. Previously the bank had been discussing lowering interest rates, but decided to hold off in order to protect against inflation. After the New Year, the Central Bank decided to stop interfering on behalf of the overvalued Russian ruble, and lifted controls on the currency, which the institution plans to be free-floating by 2015. The bank hasn't made any statement on further currency intervention.